We are keeping it pretty low key this New Years. Having a few friends over for a nice meal, drink some wine by the fire...a quiet evening in. But just because it is low key, doesn't mean the dinner has to be mac n' cheese (not that there is anything wrong with mac n' cheese...I personally love it). I have been thinking about the menu since before Christmas. The Manning Canning kitchen has been closed since Dec 23rd, so I have time to cook other things, which is a nice change. For the main I decided to brine a pork roast and then stuff it with this really simple fig jam, because come on...even though the kitchen has been closed, this girl still likes to get her jam on ;). It is a super simple recipe...and the final contents will keep in the fridge for about a month once you make it. But before I stuff it into the pork roast, I am going to cook it up with some garlic, shallots, bread, chicken stock and some herbs. You can use many different combinations for the stuffing...the jam just takes it over the top in flavour. 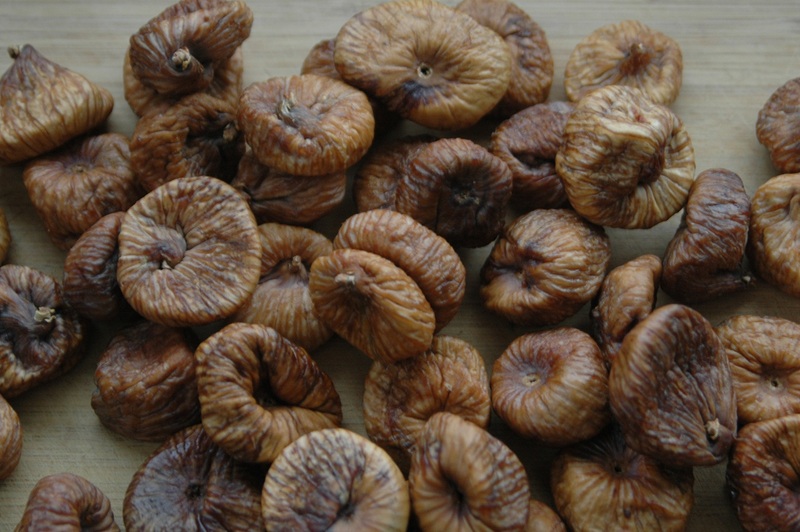 Now for this particular recipe, because I know that in the end I am going to be cooking up this jam again with other ingredients, I keep the figs in rather large pieces. You can choose to chop them a lot finer if you would prefer...the only difference it makes is to the overall consistency and does nothing to the flavour. 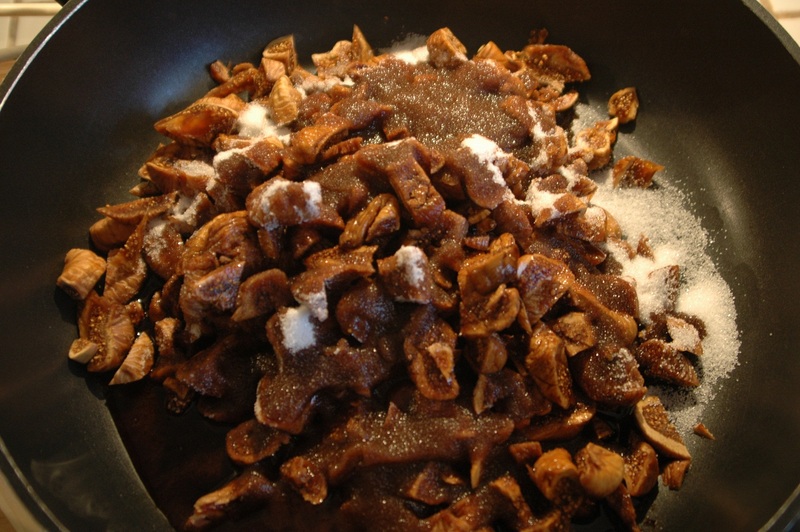 Place the figs, sugar and vinegar in a pan together over low-medium heat until and mix together thoroughly. You can either place the peppercorns right into the jam and leave them there or you can place them in some cheesecloth and remove them once the jam has cooked. Start with the heat to be on low just until all of the sugar dissolves and then turn it up to medium and continue to stir occassionally. 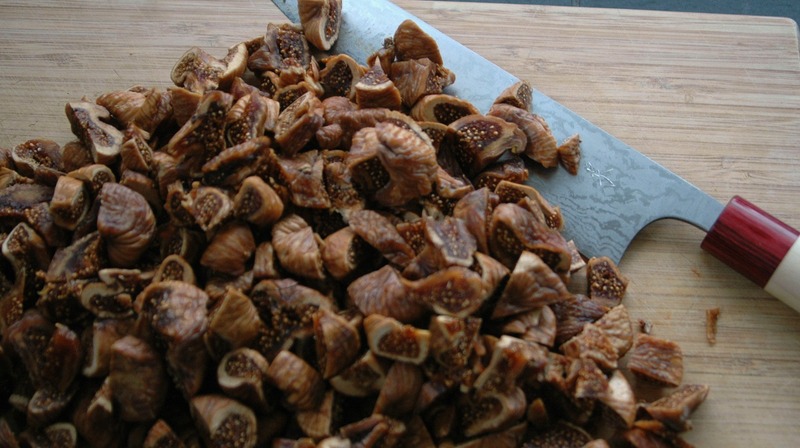 You will notice as the jam cooks that some of the fig starts to break up and almost melt into the jam. You can help this along with a wooden spoon if you want smaller pieces once you start to cook. You will notice everything start to thicken up after about 10 minutes and at this point, you will want to test your set using a spoon or other method that you are comfortable with. Once you are happy with the set, remove from the heat, stir in the lemon juice and if you placed the peppercorns in cheesecloth, remove them and then ladle the jam into your jar. Allow the jam to cool slightly on the counter and then move to the fridge until you are ready to use it.